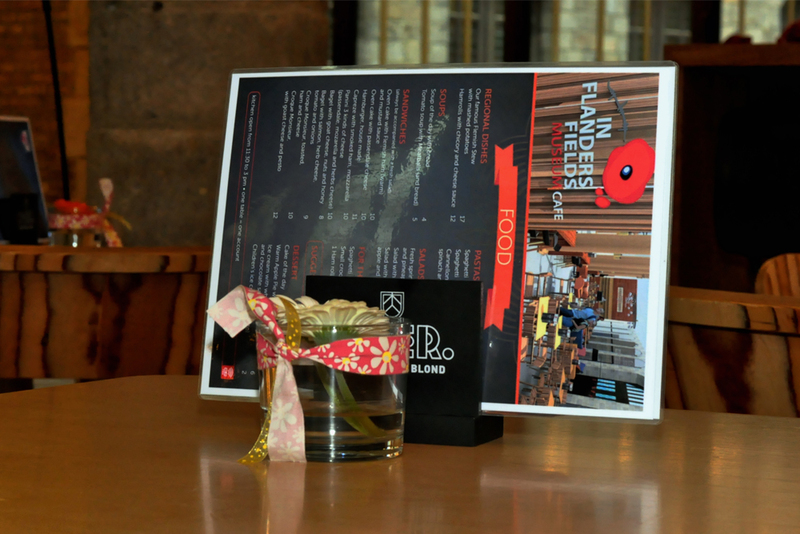 At the exit of the "In Flanders Fields Museum"
You can find our museum cafe in the historical center. 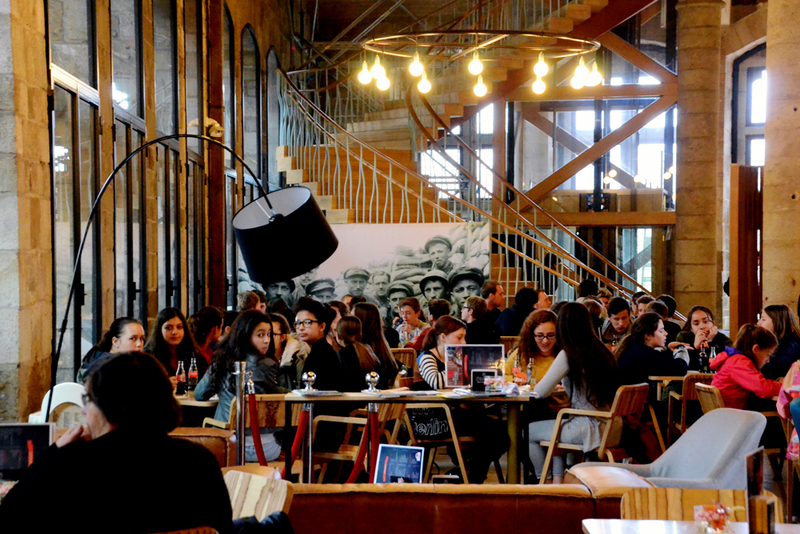 The place where history, culture and pleasure come together. 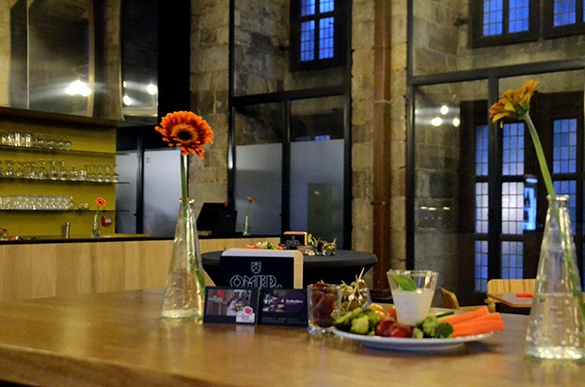 You can find our museum café in the historical center of Ypres. 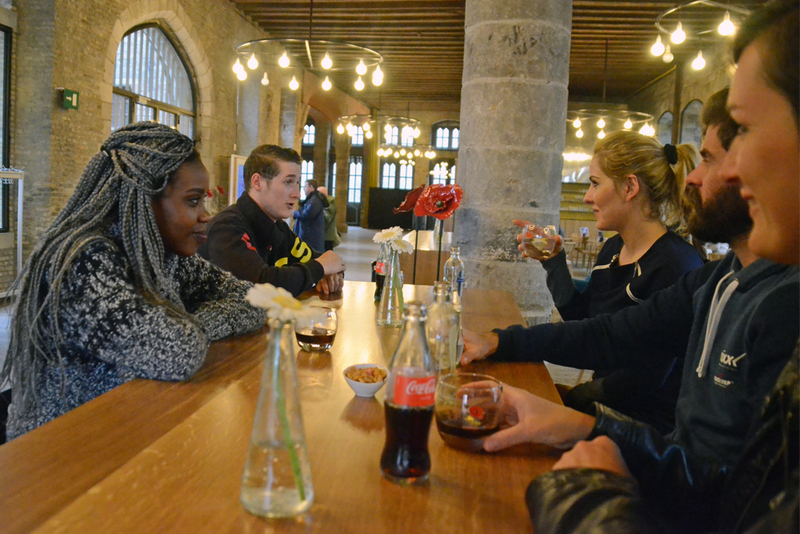 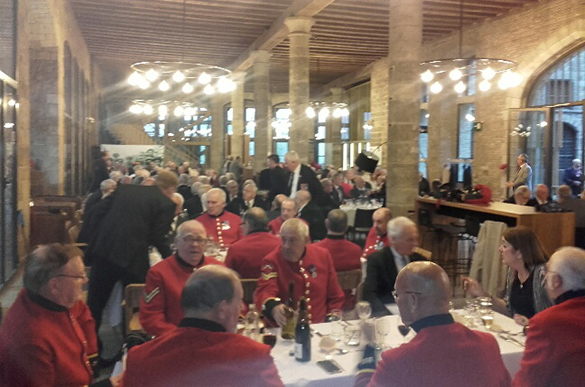 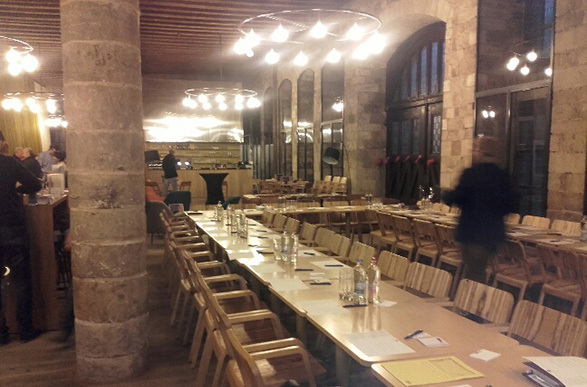 We have settled our warm place in the impressive Cloth Hall, one of Europe's largest civil Gothic-style buildings. 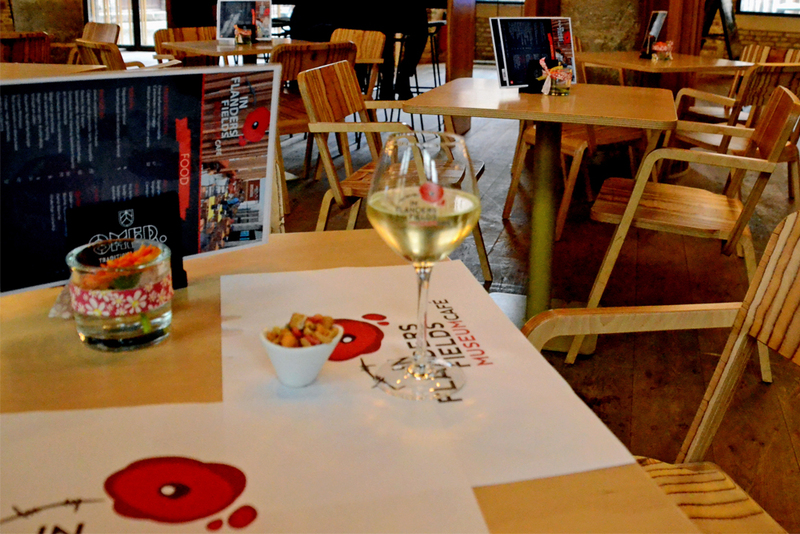 The market and its pleasant shopping streets are nearby. 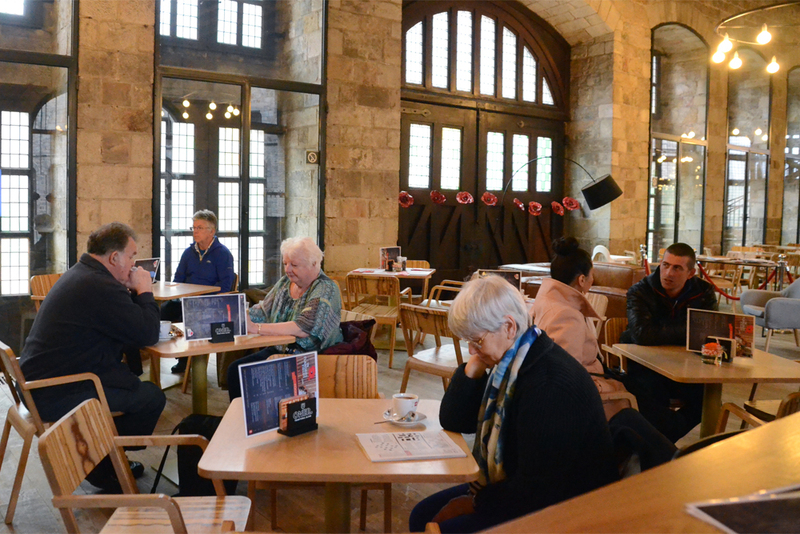 Our museum café is the perfect place to catch your breath after a visit to one the several museums in the Cloth Hall. 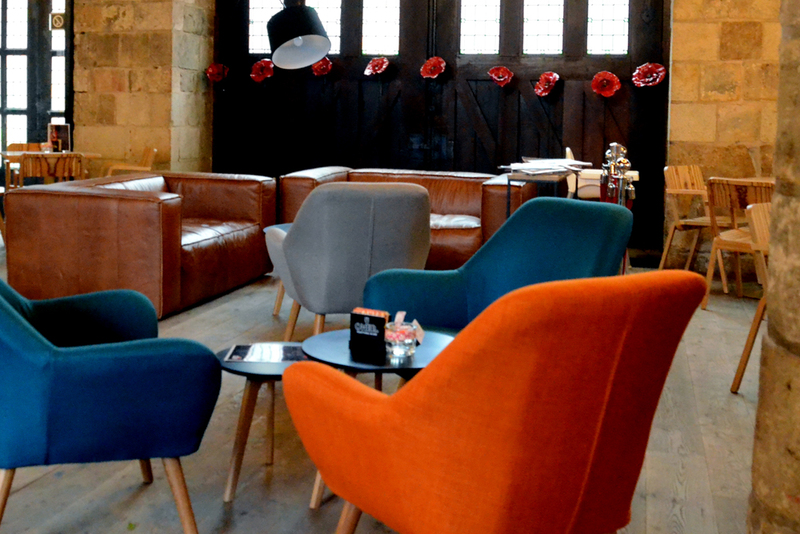 With pleasure we serve you a cup of coffee or a local beer, lunch or afternoon tea. 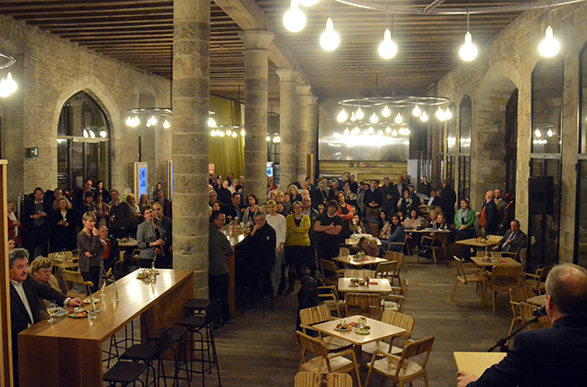 In the summer our courtyard, in the heart of the Cloth Hall, is a very nice place to enjoy the atmosphere of this historical museumcafé. 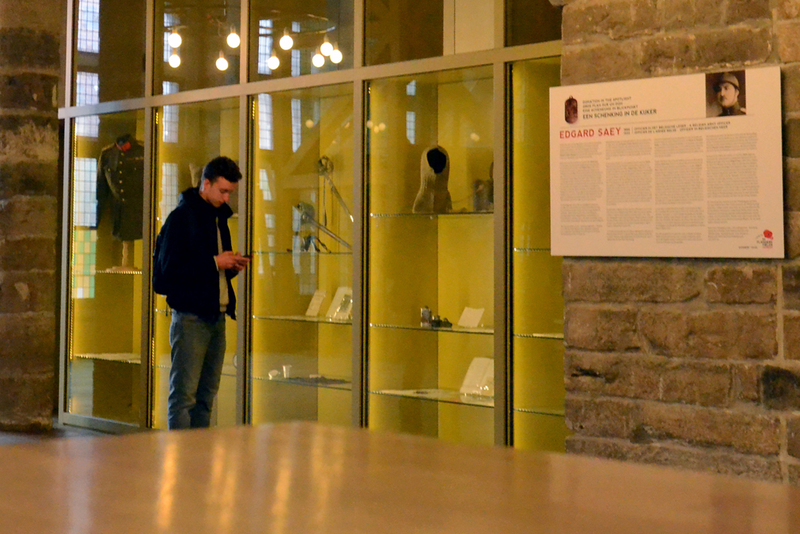 Even without visiting the museums, you are welcome here. 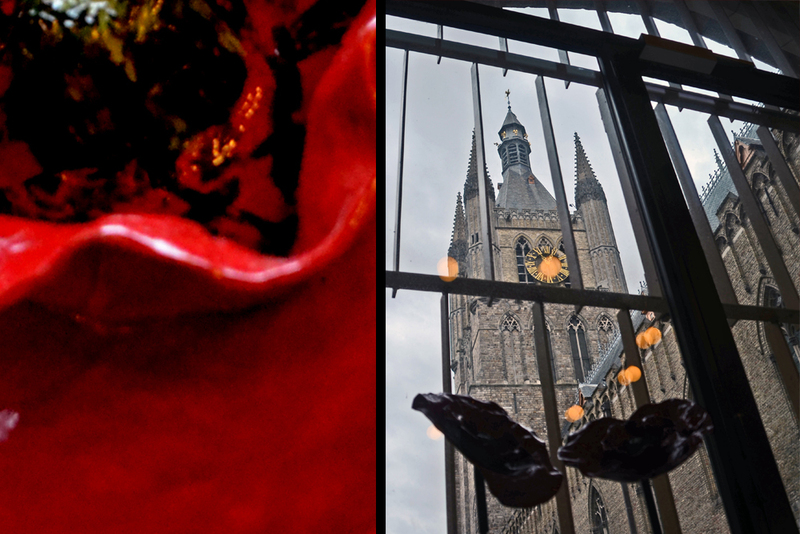 We welcome you to one of Ypres most impressive and hidden spots! 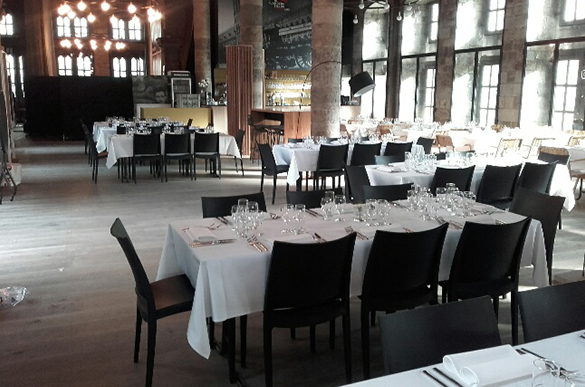 Our café with kitchen is also suitable for staff receptions, private dinners, lunches, receptions or other romantic or business occasions from 2 to 300 people. 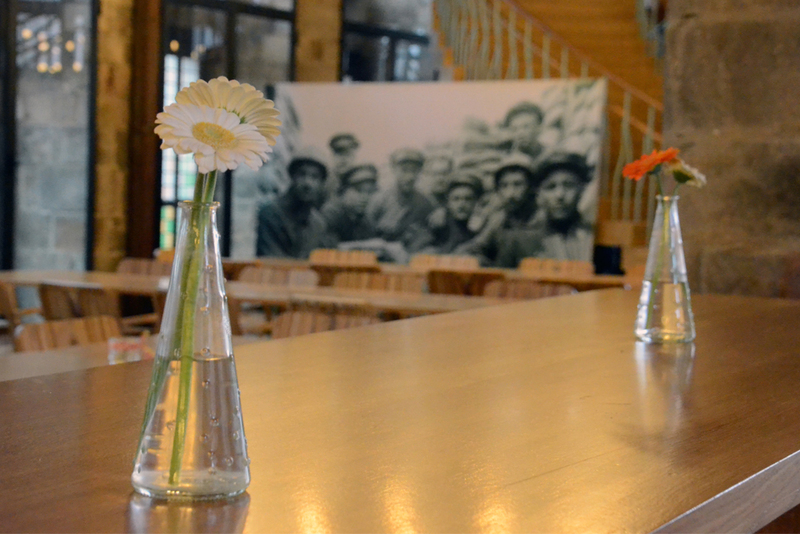 You can also celebrate a special occasion here in our museum café / museum courtyard. 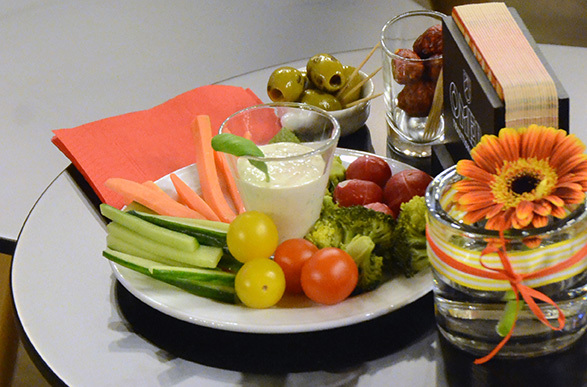 Here you can also enjoy snacks and / or drinks. 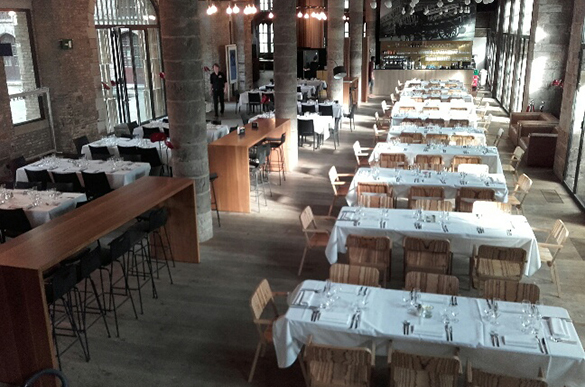 Kitchen is always open till 16h. 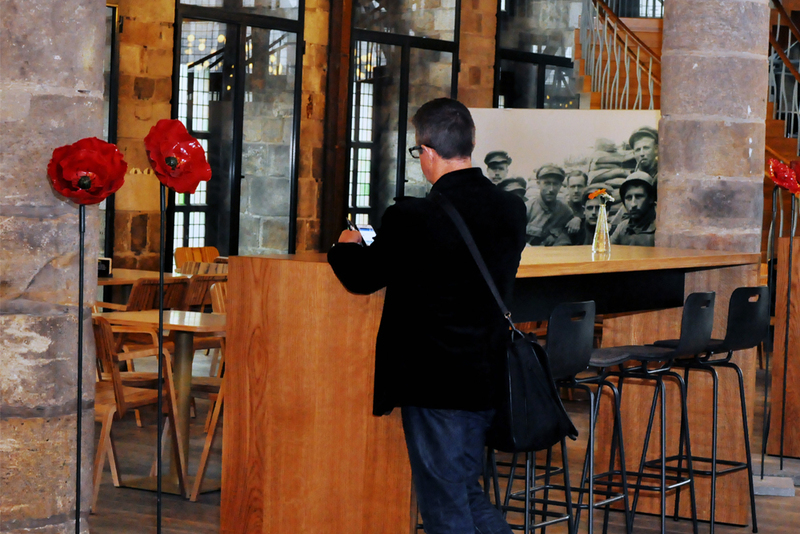 the Yper Museum brings you 11 centuries of Ypres and Westhoek. 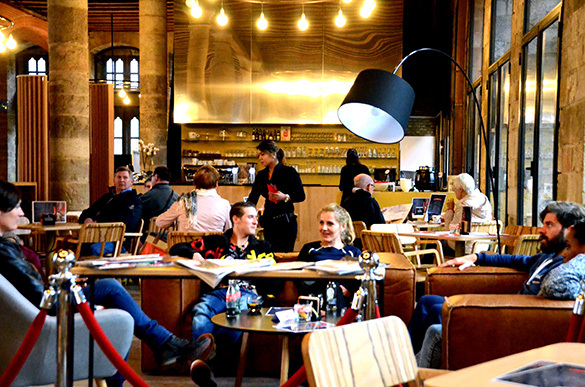 a hip, trendy business with a mix between shop and restaurant-café.